"Two foot long salamanders? Unexploded warheads from WWII? Plants that start life looking like tiny aliens? We looked no further than the bazaar mythology of Canaan itself to find inspiration for this poster. We brought our love of co-creating strange drawings together with our appreciation of all things bike and our admiration of the amazing wild and wonderful nature of West Virginia. We have been collaborating artistically for going on one year now. 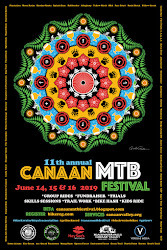 The Canaan Mtb Festival is our first of what will hopefully become many posters. You can see our art through May at the Larkin Arts 6x6 Juried Show in Harrisonburg, VA. The same gallery will be showcasing our artwork along with Tim Skirvin for the month of July. In our spare time: Liza Marshall Frolkis is the assistant manager at Radical Roots Community Farm and a participant in the Valley Herbal Guild. 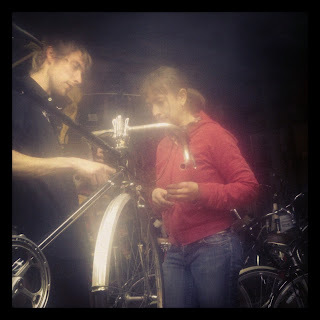 Paul H. Forrester works with Shenandoah Bike Company and plays music with his band Nip Twissle." We want to thank Liza Frolkis and Paul Forrester for designing such a unique and wild poster. 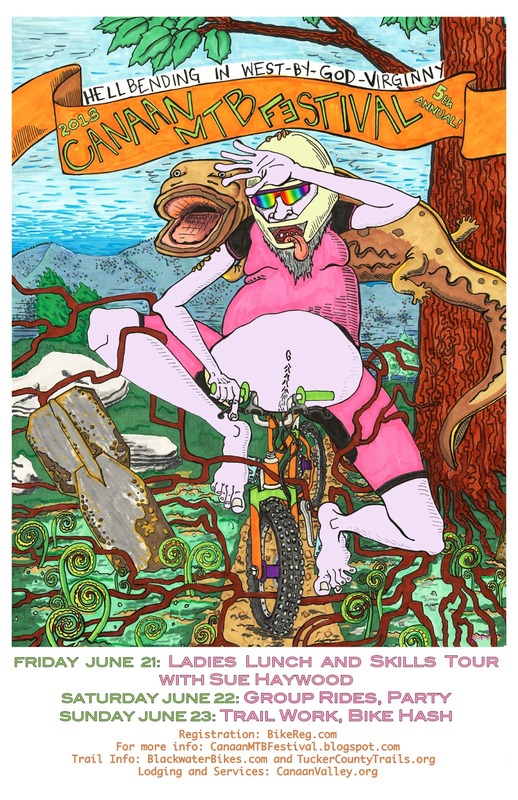 Their artwork will be added to the other awesome posters that bike lovers have made for our annual festival. We really like giving regional artists free reign on creating a fun representation of the festival.